Last month we saw a leaked photo of what was thought to be a prototype of the Amazon smartphone, and now we have a new photo of Amazon’s first handset. The photo of the Amazon smartphone, appears to be a press render of the handset, and it was obtain by the guys over at the BGR, and in this photo we get to have a look at the design of the device. 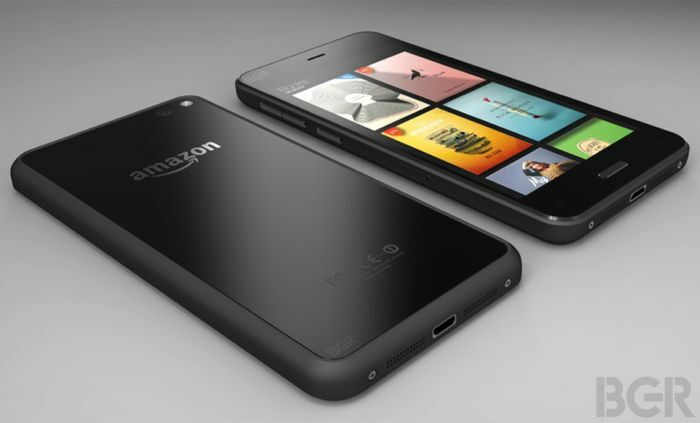 As you can see from the photo, the Amazon smartphone has taken design elements from a number of devices, which include the iPhone, the Samsung Galaxy S range and the HTC One. The handset is said to come with a 4.7 inch HD display with a resolution of 1280 x 720 pixels, it will apparently be powered by a quad core Qualcomm Snapdragon processor and will feature 2GB of RAM. The Amazon smartphone will run Amazon’s Fire OS, which is based on Google’s Android OS, and the device is said to come with six different camera modules. As well as Fire OS, the handset will use Amazon’s app store for applications, and it will apparently come with an interface that has 3D effects, which will be enabled by four front facing cameras. Amazon will apparently launch the Amazon smartphone with a new mobile plan called ‘Prime Data’, as yet there are no details on what this plan will include and how much it will cost.